The German lender’s fourth green bond comes not long after a EUR500m green Pfandbrief in June, which followed earlier green covered bond and senior debuts, with both formats now issued under the same programme. After a roadshow and then mandate announcement on Monday morning, the new EUR500m no-grow 10 year issue was launched with initial price thoughts of the 50bp over mid-swaps area yesterday morning by lead managers ABN Amro, Commerzbank, Crédit Agricole, JP Morgan and Commerzbank, with Bankhaus Lampe as co-lead. Guidance was then set at 40bp-45bp over mid-swaps with orders above EUR1bn, and the pricing was ultimately set at 40bp over with demand totalling EUR1.2bn, pre-reconciliation, and some 130 investor involved. 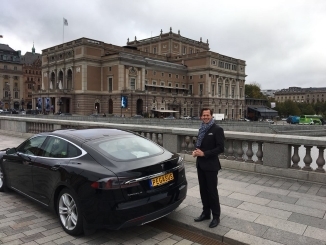 Bodo Winker, head of investor relations and sales at Berlin Hyp, told Sustainabonds that the benchmark is the first – either green or non-green – on which the issuer has sold the majority outside Germany, even if it had been approaching 50% for foreign sales in its previous green bonds. “We finally made it,” he said. Some 45% of the deal was placed with investors having an SRI or green mandate, according to Winkler, who highlighted the granular nature of the order book, which he said included from very, very small to quite sizeable tickets. 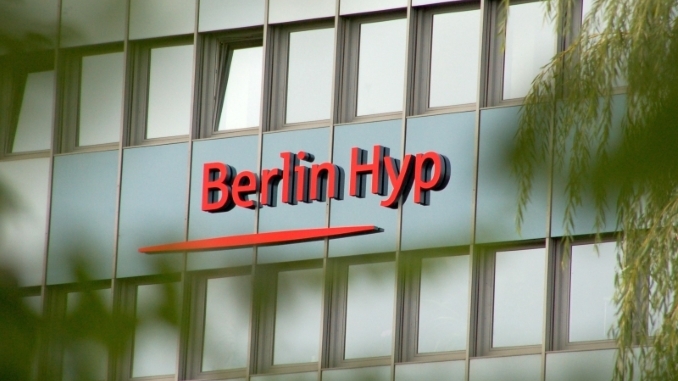 The 10 year maturity extends Berlin Hyp’s green curve and fits a gap in its maturity profile. “Spreads, especially at the long end, are attractive at the moment,” said Winkler, “and we had the feeling that there is solid demand for long-dated bonds – especially in the green bond market, because if you look at other bank issuance, it usually is shorter dated, so that’s a nice alternative for investors. Joop Hessels, head of green bonds at ABN Amro, said that Berlin Hyp’s track record has helped it attract investors, as the green bond issuance has been complemented by impact reporting and management buy-in to the green side of its business. “Obviously they have done a huge amount of investor work over the last couple of years, so there were quite a number of investors who knew the company very well,” he said. “But we were still able to find some new investors. 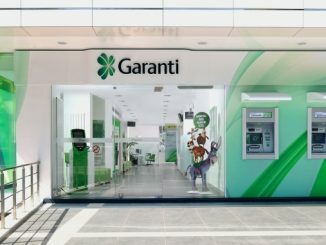 Winkler noted that the bank’s green finance portfolio has already grown from EUR2bn to EUR2.4bn between its recent green covered bond and the new green senior bond, as part of Berlin Hyp’s strategy of 20% of its lending being green by 2020, with price incentives for green loans supporting this drive. “That’s what investors like to see,” said Hessels, “that issuing green bonds results in more focus from management on doing more environmental business. Ahead of the new green bond, Sustainalytics improved its ESG score of Berlin Hyp to rank the issuer fifth among 332 banks, while oekom upgraded its corporate rating from C to B-, putting Berlin Hyp top of its peer group. The senior unsecured bonds are rated A1/A+ by Moody’s and Fitch. 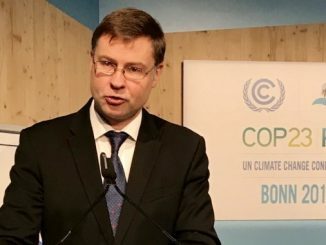 The European Commission launched a public consultation yesterday (Monday) on how ESG factors could be integrated into the fiduciary duties of asset managers and institutional investors, as Valdis Dombrovskis spoke of the importance of private capital in achieving climate targets at COP23.